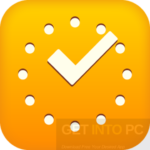 OST to PST Converter Free Downloaad Latest Version for Windows. 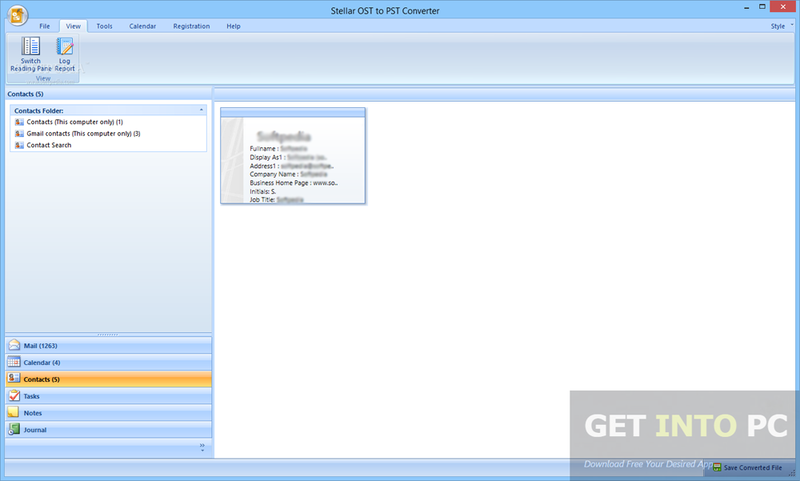 It is full offline installer standalone setup of OST to PST Converter for 32/64. 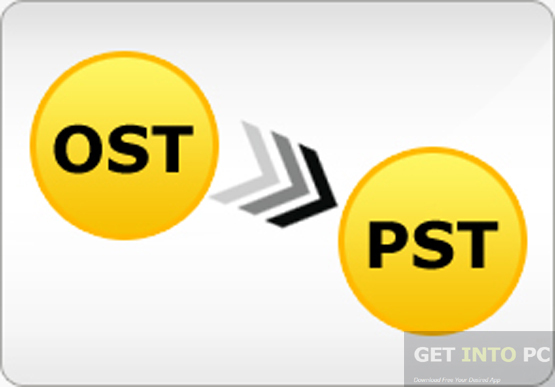 OST to PST Converter is a reliable application which can be used for recovering lost folders, calendars, contacts, notes and email messages from your OST files. 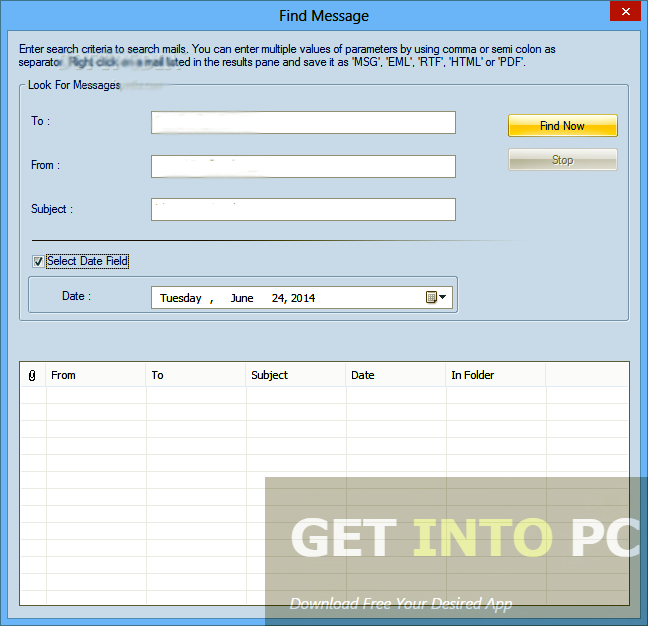 The information recovered from this application can later be saved in MSG or PDF format. With this application you can easily extract the tree structure from the OST file and display it in the interface. Entire emails with text, attachments and hyperlinks can be recovered with ease. It has got a very simple and neat interface which has a striking resemblance with Office 2013 layout. It main window has been divided into three areas and it depends on the branch you are currently working. You can switch between column view or the reading pane which depends on your choices. It is one reliable way to extract data from OST files and not only this it can also be used for converting email files into other file formats. Below are some noticeable features which you’ll experience after OST to PST Converter free download. 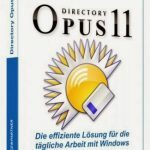 Can recover lost folders, calendars and emails. 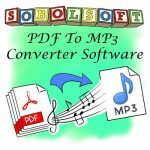 Can save the recovered data in MSG or PDF formats. Can extract the tree structure from OST file. Got striking resemblance to Office 2013 layout. Before you start OST to PST Converter free download, make sure your PC meets minimum system requirements. Click on below button to start OST to PST Converter Free Download. 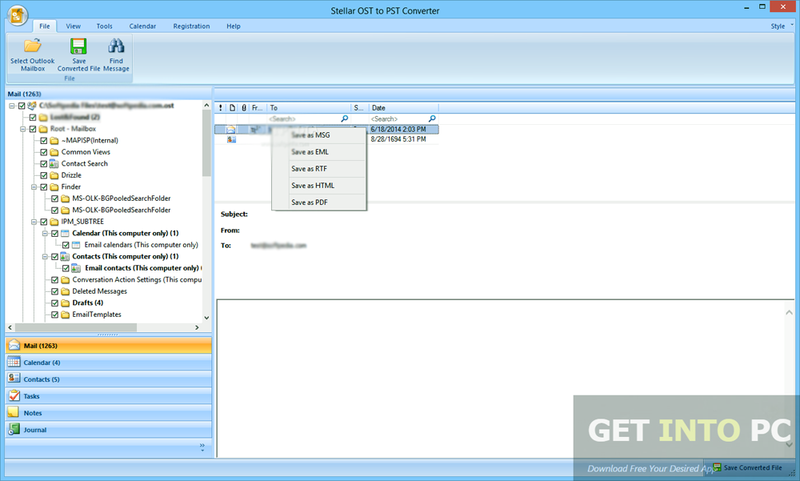 This is complete offline installer and standalone setup for OST to PST Converter. This would be compatible with both 32 bit and 64 bit windows.